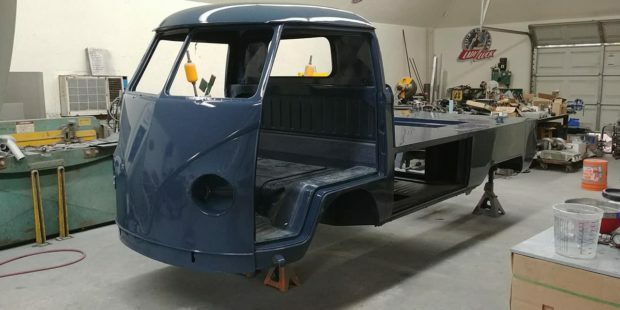 FabFitters in La Vernia, Texas is giving a 1965 VW Single Cab new life. 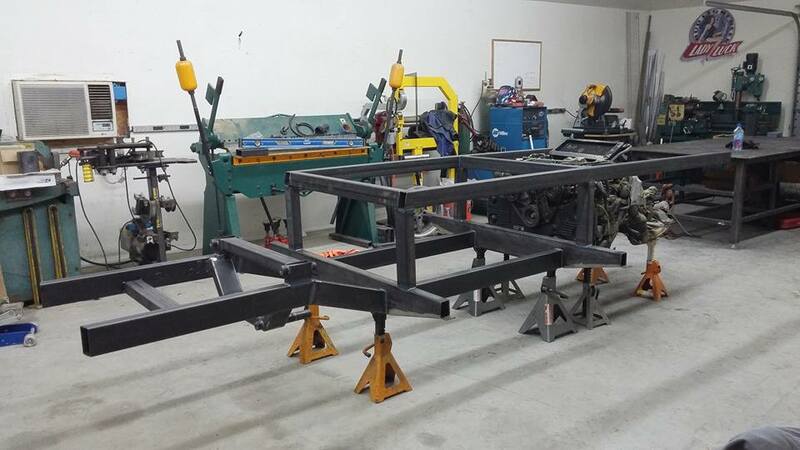 All the hard work will culminate when the truck makes its debut at Battle of the Builders SEMA 2018. 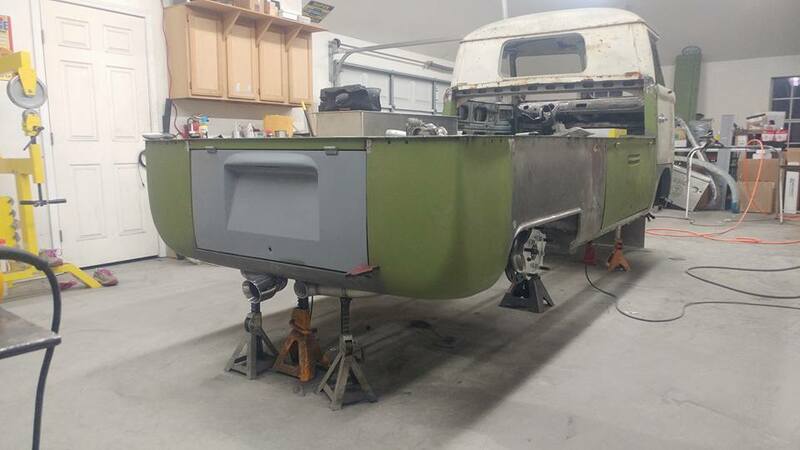 The project started when the company purchased the truck from a collector two years ago. 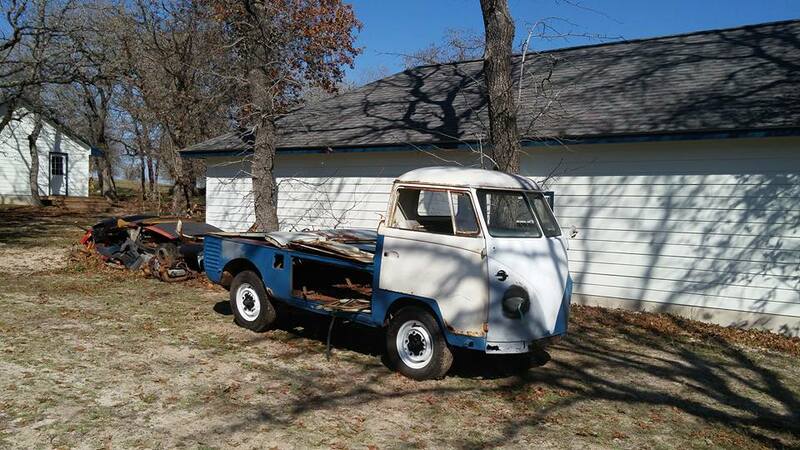 Unfortunately it sat by a river bank for many years and was heavily rusted. 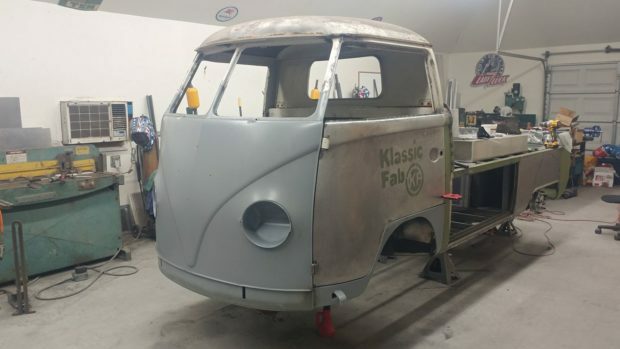 FabFitters replaced most of the body with exception to the roof and back window area. FabFitters needed a strong foundation so a custom chassis replaced the factory one. 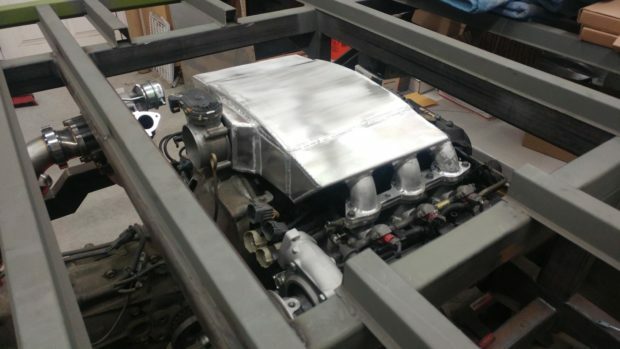 The new chassis is similar to the factory unit however it’s reinforced to support the more powerful engine and mid-engine layout. The truck rides on a double wishbone front and push rod rear with adjustable coilovers. 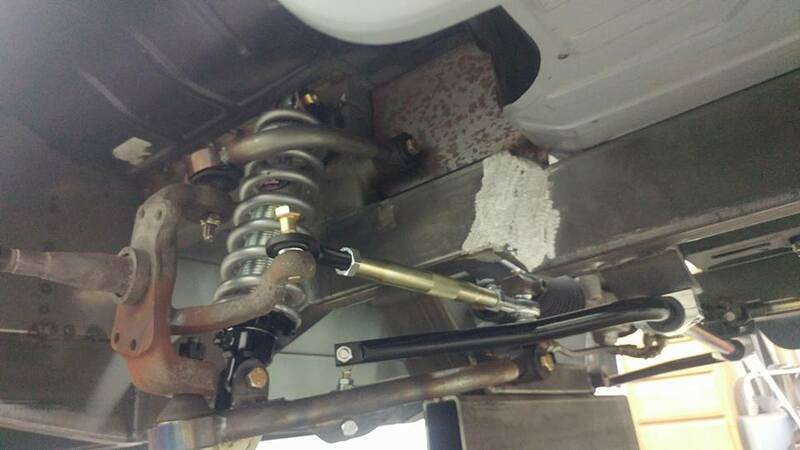 It also features reworked bus spindles and Porsche 930 CV joints. 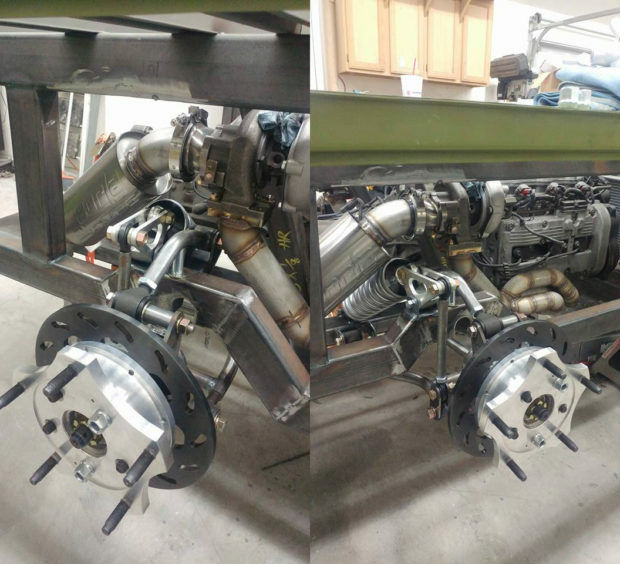 Wilwood disc brakes with drilled rotors help the truck stop. 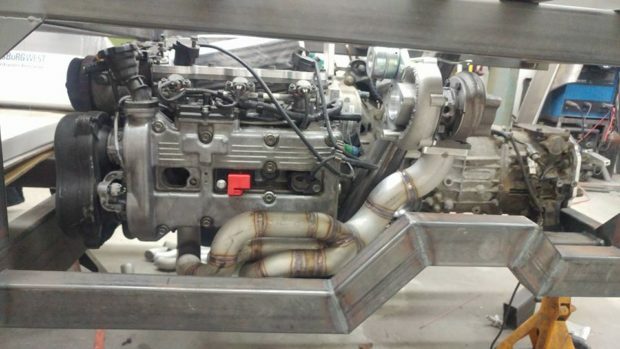 The engine is a 3.3 L EG33 flat-six from a 1995 Subaru Alycone (SVX). 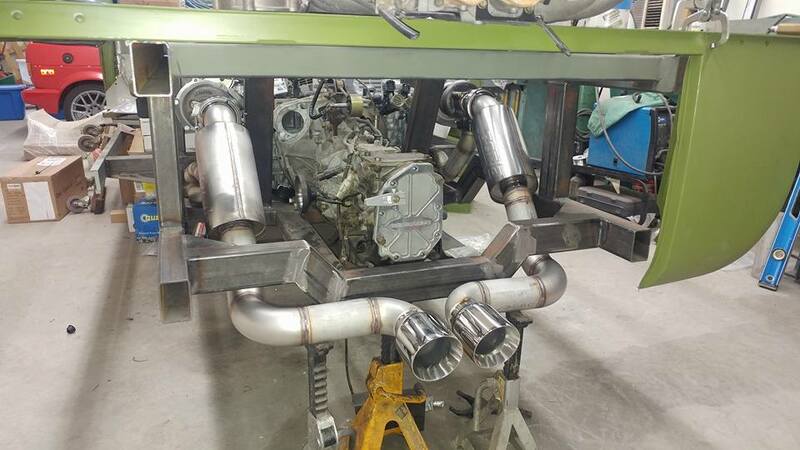 It features JE forged pistons, STI forged rods, ported and polished heads, custom aluminum intake with internal liquid intercoolers, and two Garrett GT28R turbochargers. Controlling the engine is a Haltech 2500 Elite ECU through a custom wiring harness. The drivetrain consists of a Subaru five-speed manual transmission converted to FWD with a Quaife LSD and custom shift linkage.